It reminds me of a first-generation Ford Transit with a crane in the back. It appears that its mechanical function is the raising/lowering if the boom. The arm should be manually rotatable. Besides the free-spinning tracks, it has a mechanism for raising/lowering the arm, and there are linkages to tilt the bucket and raise/lower the “forks”. This is the “minus one” of the post’s title. As of writing, there is no official image available yet. A chubby-looking quad. It appears to contain too many colours, with black, yellow, blue and grey. Probably looks better without stickers (and thus without the blue). Given that this is a pull-back model, I very much doubt it has steering. A small model of a giant truck, if the cabin is any indication of scale. 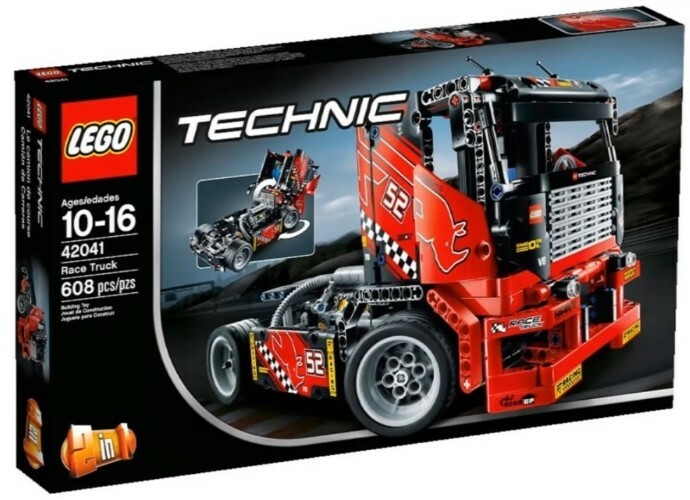 This is the first time this kind of vehicle gets a Technic rendition, which is commendable. Its functions are steering and tipping the bed, plus it has a single-cylinder engine adjacent to the cab. That’s some mighty technology, to make a single-cylinder engine powerful enough for such a gigantic machine! It contains two new triangular, A-shaped panels forming the sides of the cargo bed. This part can make the transition between 5-wide and 3-wide rectangular panels. 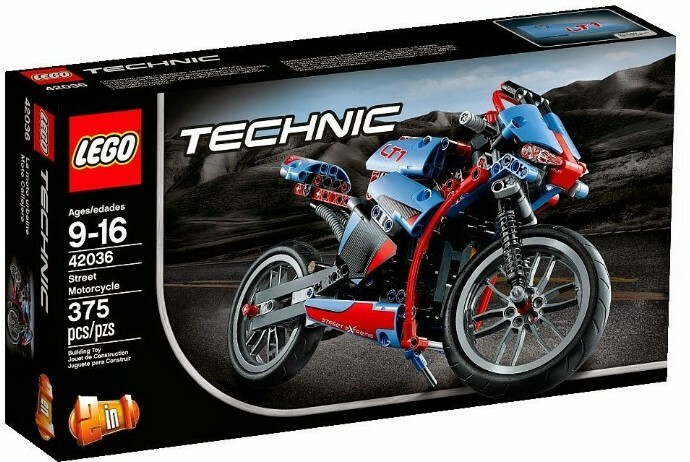 A more “sporty” version of 8051 Motorbike. I hope Superman, Spider Man and Optimus Prime forgive me, but in my opinion red and blue really, really don’t go well together. Especially mixed together as they are in this set. On the plus side, the blue appears to be Medium Blue, which is nice for bolstering our parts bins for MOCs. 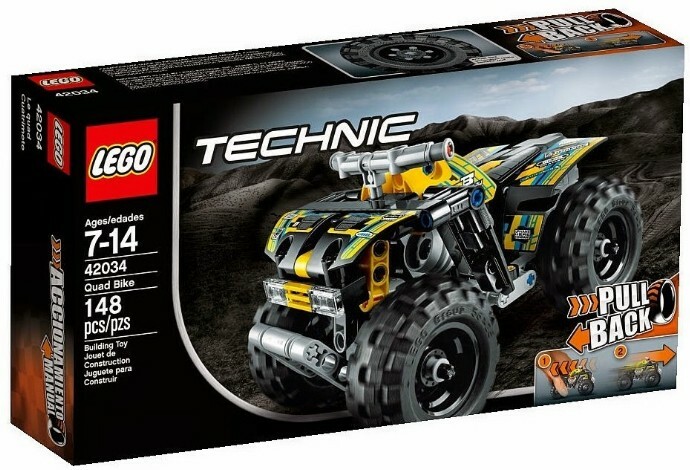 As there are no pictorial descriptions of its functions on the box, I assume they are the same as in the other Technic motorcycles: front and rear suspension, and a chain-driven cylinder engine. 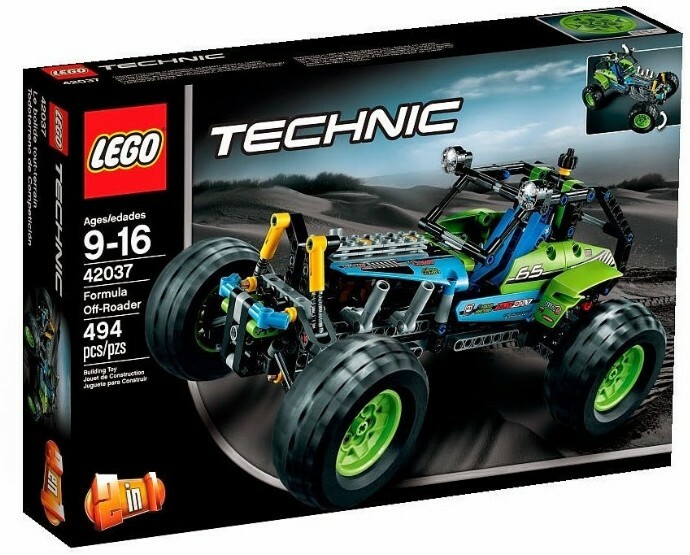 When I first saw the name of this set, I could only think of a Formula One car with raised suspension and balloon tyres... From the looks of it, it appears to be a spiritual successor to the 8465 Extreme Off-Roader. The lime and medium blue colour scheme reminds me of RC. It has four-wheel independent suspension, steering and an L4 engine. I suspect that, unfortunately, once again TLG didn’t think we would need a 4WD vehicle. The roll cage can also open. I can’t see any new parts, but those lime rims sure are unusual! 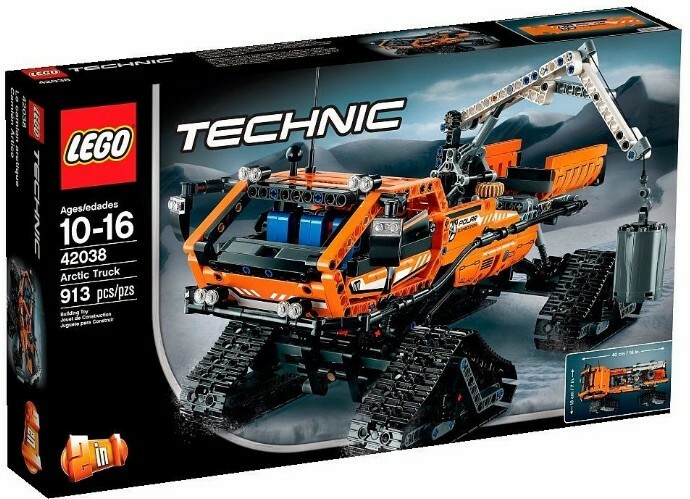 An orange snow vehicle, capable of loading and transporting cylinders of... stuff. 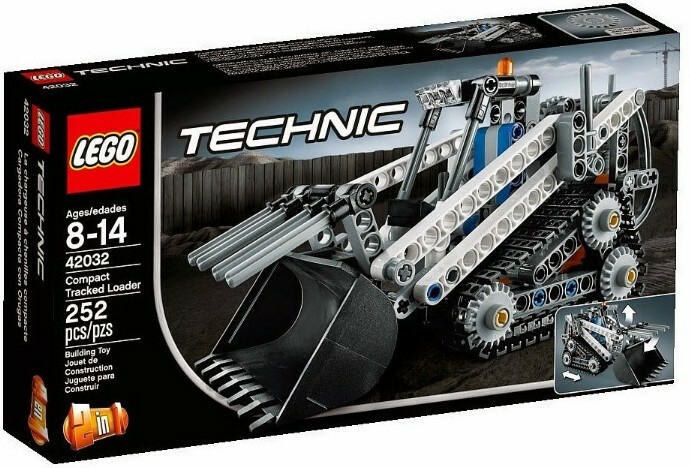 In my opinion it looks gorgeous, and unlike what TLG usually produces for Technic. Since it has four sets of tracks, it most surely has steering. Front and rear suspension can also be seen. The crane pivots and its boom is lifted via an mLA. There’s a mechanical linkage for the jib. I don’t see any indication of a cylinder engine, but ir wouldn’t be unreasonable at this model size. 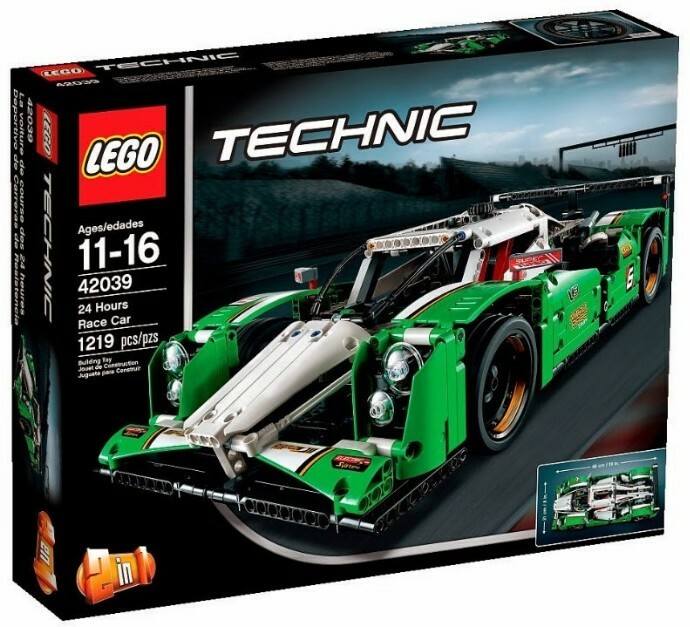 A green and white Le Mans car, with black accents. Comparing to the preliminary images, this is the set that changed the most. Thankfully the huge sticker across multiple pieces in the front is gone, but unfortunately so are the sleek headlights. The wheel arches are less elegant, too. At this scale, steering, independent suspension, differential and a cylinder engine are a given. A mechanism top open the doors is highly likely, too. Unlike last year’s 42000 Grand Prix Racer, an adjustable rear spoiler looks unlikely. The wheel arches are new parts, each being 3 modules wide. 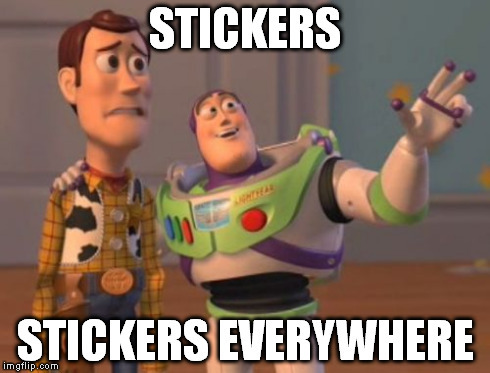 Their shape suggests they’re made of a soft, bendable material, but having stickers on them makes that dubious. I’m not sure, but the sides of the roof may be built using new 11x3x3 corner panels, too. This is the “plus one” of the post’s title. Shall we play a game of “spot the differences”? Here is an image of the 8041 Race Truck. Ready? Go! 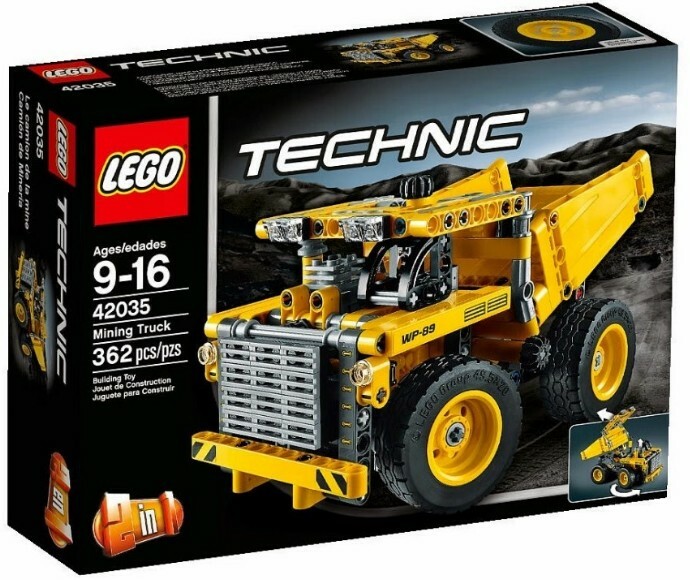 That mining truck does remind me of the Volvo A25F articulated hauler. SHorter cabin, but same idea. Still, a nice model. 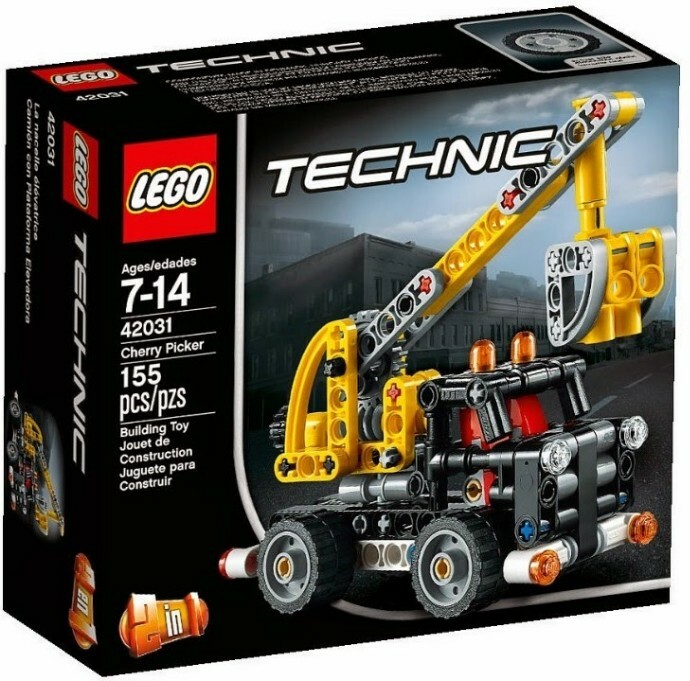 42039 changes are sad, but guess we would have liked it more if we had seen the preliminary images. So with time people will get used to it as well. The previous headlights looked much nicer and uncommon, although they were lower which is not that realistic compared to the cars that might have inspired this model. Also we got now the panels in front of it, so the headlights had to move up a bit. The cockpit also changed a lot but I don't dislike it as I also liked the previous one. Wheels seem in fact very small for the model size and proportions a bit weird as seen from these images. I'm also curious to see which other applications we could have fro the new fender panels. Either we like them or not, they seem more versatile than the early 3D printed prototypes. Changes to this model are really too much to believe. Specially if we consider the image present in the dealers catalog is the previous one which is substantially different. Were the changes made quite late!? Maybe. Did this model changed designer hands? Nothing that happened before, or at least there were models made by one designer which got finalized and productified by another one later on. 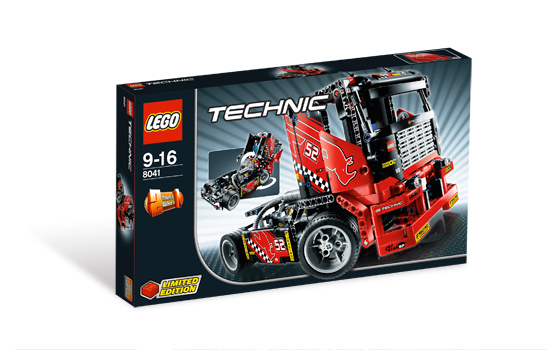 And of course got really surprised by the apparent re-release of of 8041 Race Truck as 42041. But still a totally different type of truck/hauler, even given the size proportions of the real machine.